While most people plan their visits to the major national parks in the summer, there is one you may want to consider for a winter vacation. 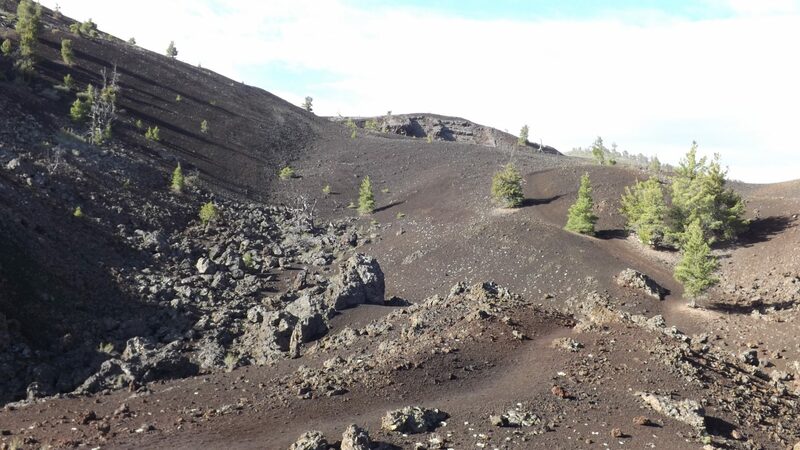 That is Craters of the Moon National Monument and Preserve in southern Idaho. 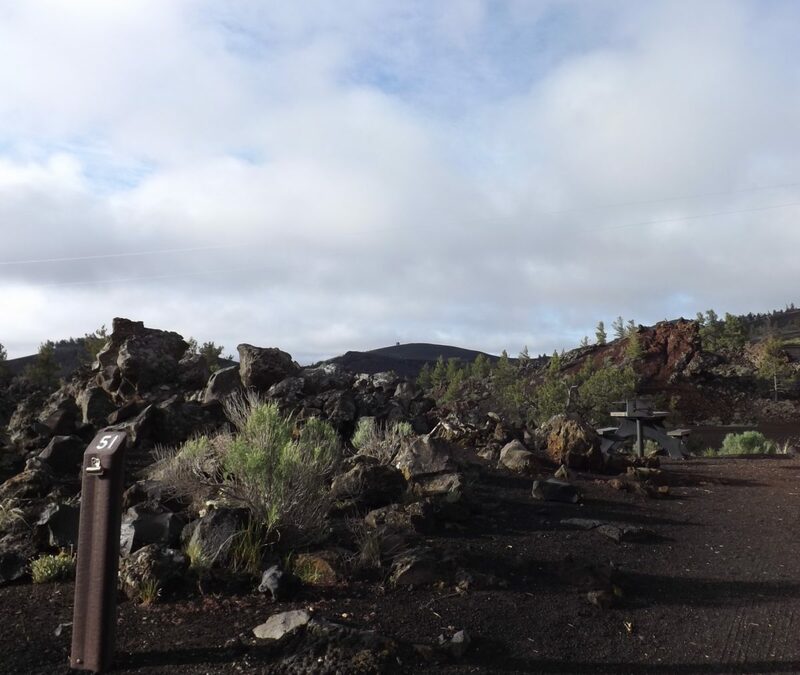 Boiling in summer, this park encompasses a vast ocean of lava flows; the remnant of ancient volcanos. When President Coolidge proclaimed this a national monument in 1924, he said he was “preserving a weird and scenic landscape, peculiar to itself”. We certainly agree. It is other-worldly. Probably the closest we will ever get to the surface of the moon. In fact, in 1969, Apollo astronauts prepared for their moon mission there! 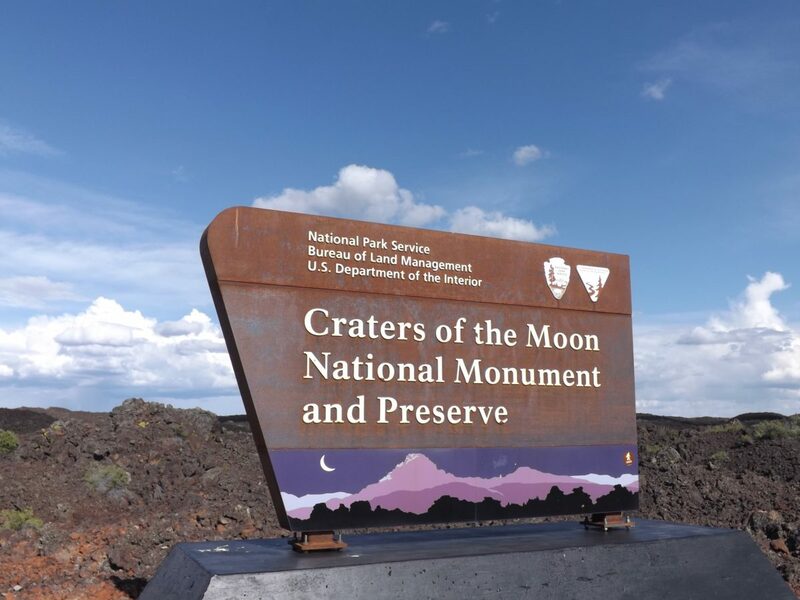 Craters of the Moon National Monument and Preserve is 750,000 acres, much of it wilderness area, protected by congress from any man-made change. This harsh environment supports very little vegetation; you’ll only see the odd sage brush and a few stunted trees, plus some tiny wildflowers in the spring. You can visit any time of year but wintertime is extra special; the rangers lead snowshoe walks and there is a groomed cross-country ski trail that offers 4-7 miles of winter fun! 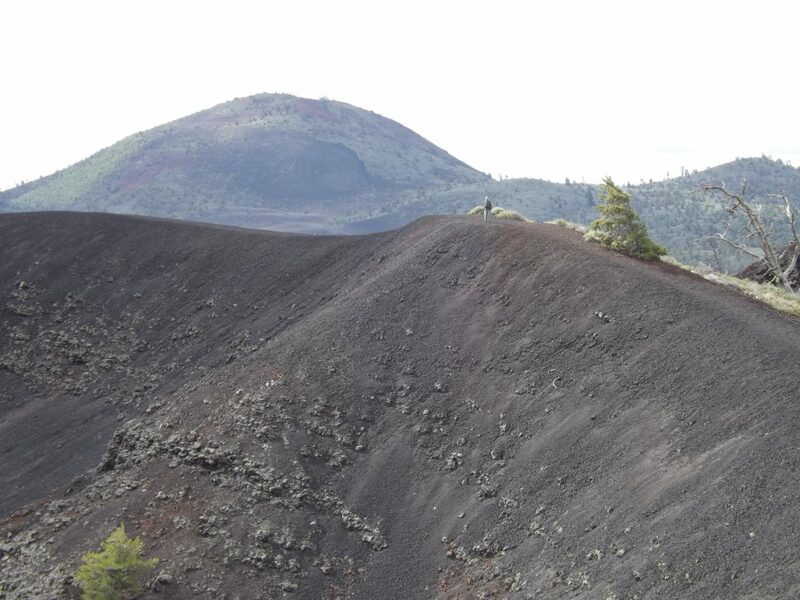 You can even venture out on to the cinder cone to try your hand at a hill. There is no charge for skiing, but be aware that dogs are not allowed. The fall/winter, when the loop road is closed to motorized traffic, offers a great opportunity to experience the barren landscape by bicycle. You will want to dress warmly and bring out those fat tires, but the silence and weirdness of the place is amazing! In the spring, the park comes alive. We were astounded at how many teeny wildflowers there were. They aren’t always obvious, but if you look carefully you’ll see them tucked in among the lava rocks and in the crevices. You can just visualize how hard they have to work to survive in such a harsh environment. Summer, you might not stray too far from the air conditioned visitor center There is a good movie and lots of interesting exhibits. There is also a scenic drive you can enjoy from your air conditioned vehicle. If you do get out on the trails – go early and take lots of water. And NEVER leave a pet in your vehicle. Fortunately rangers keep an eye out for this and will issue citations. There are several options for hiking, from short paved pathways to more strenuous multi-day hikes into the backcountry. 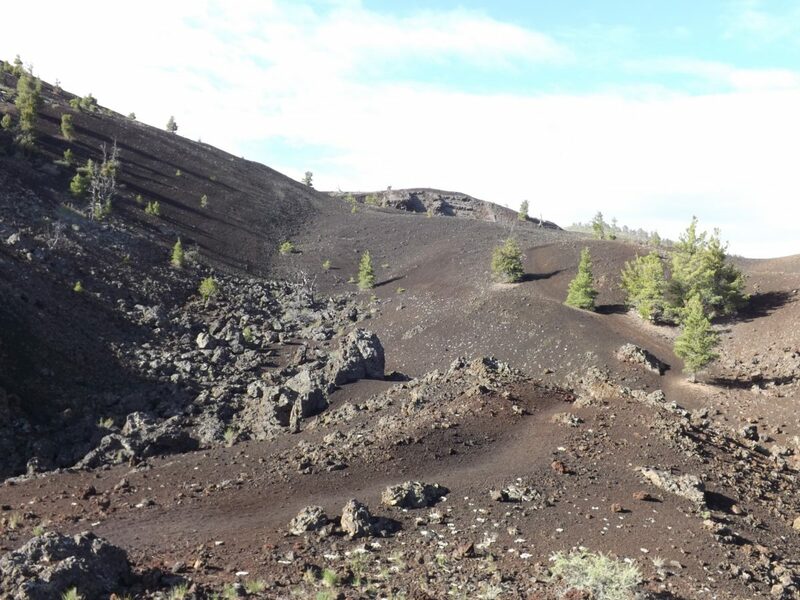 One of our favorites is the North Crater Trail – a 3.5 mile one-way trail that traverses the crater and descends into the spatter cones. One of the highlights is “snow cone” – even in the heat of the summer you will see snow!!! Another fun option, especially on hot days is the Caves Trail where you can go down into the cool, dark lava tubes. Indian Tunnel has some light, but the others are totally dark so be sure you take a flashlight and another light source as a backup. You do need a permit, but they are free at the visitor center. Check in there for rules and regulations. When you plan your visit, be aware that the nearest town with accommodations is almost 20 miles away. That is also the nearest restaurant, other than vending machines at the visitor center. The only accommodation in the park is a 42 site campground. There are no showers and no electricity. Be sure to arrive early; it is first-come, first serve. They do not take reservations and it will fill up in busy seasons. We were fortunate enough to get a site there. 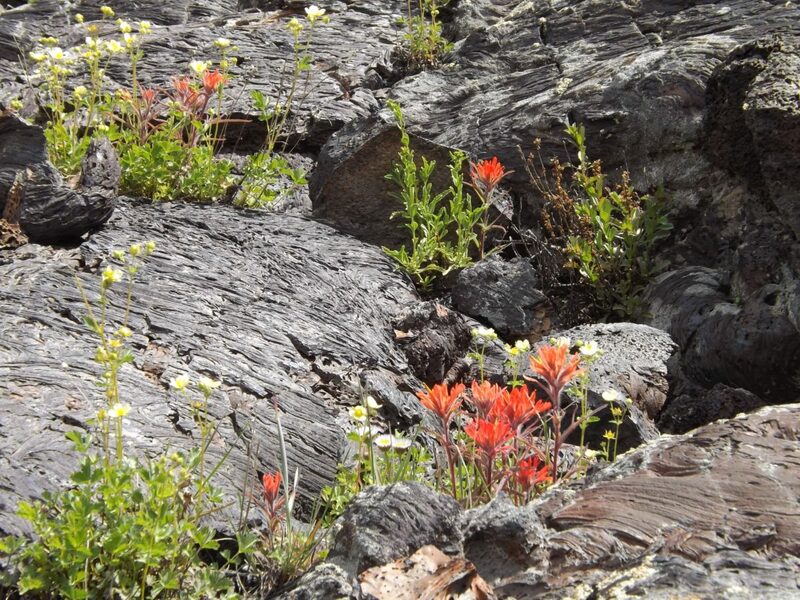 It is pretty spectacular; you are camped in amongst the ancient lava rocks and you can hike right from your campsite! It is amazing how quiet and dark the night skies are. The place is desolate but beautiful; truly like nothing you will ever see anywhere else on earth.